The founder of referencelibrary says his blog was born out of his eBay disappointments, as a sort of consolation catalogue of all the things he didn’t win. The photos tagged “Items I Didn’t Win” are so beautiful you can almost feel his disappointment. He has a really good eye, and you can easily imagine how nice his place must be despite his losses. 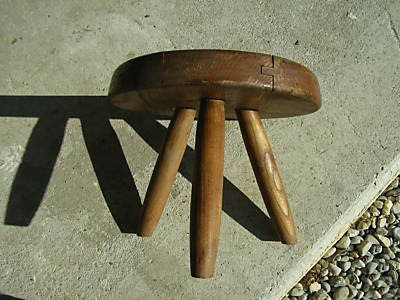 Even so, it would be nice if someone would actually win something for him on eBay, like the Charlotte Perriand stool he missed below, because he deserves it. The blog also features many other compelling oddities, and there’s something almost conceptual about the way he puts it all together. 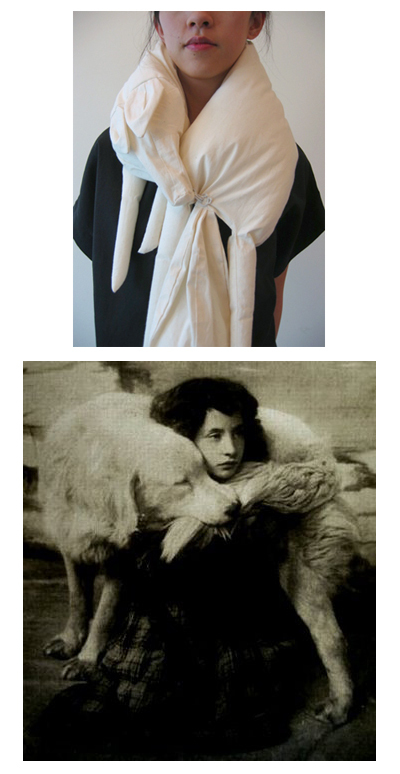 Above is his pairing of a completely genius Faux Fox Stole by Slow and Steady Wins the Race (available at Stand Up Comedy) with a found image from Blind Pony Books. Andy’s other blog is Stork Bites Man. This entry was posted on Tuesday, March 10th, 2009 at 9:38 pm	and is filed under design. You can follow any responses to this entry through the RSS 2.0 feed. You can leave a response, or trackback from your own site.